Ok so we have this sic website right but now we have to let people know about it what better way than to use it to do a promo tour and get everyone connected. And thats exactly what we are going to do! Where - the XC crew will be wake boarding, skateboarding and surfing from the Central Coast New South Wales to The Glasshouse Festival in QLD and back again. We will post all events occurring on the festival on the site for people to connect to. So become a member and instantly stay updated. How can you connect and meet up with us along the way? - Through the site of course! Since we've created the most awesome site in the world for bringing extreme sports people together we're going to use it to keep us connected to you on tour online and in life. Through the site the XC crew will post events inviting people to watch or participate along the way. All you have to do is join the event, turn up and have a wicked time. 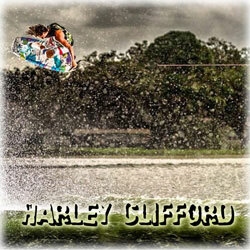 WAKEBOARDER HARLEY CLIFFORD AT HIS HOUSE!!!! Xtreme Connect will be holding a massive Sign Up Competition at the Glasshouse Festival on 2nd November where anyone who signs up to the XC website, at the Festival on the day goes into the draw to win a BBQ lunch for themselves and a mate with Harley Clifford and the XC crew, the very next day, at Harley’s house! Insane!!! And it doesn’t end there… After lunch everyone will head onto the lake in Harley’s Mastercraft boat, to go for a ride with the champ himself. ** It doesn’t get better than this!! !